Confined Spaces are regarded as hazardous areas and special precautions are required when entering these areas. Methods by which to access the confined space may be difficult and the hazards encountered can change the situation very quickly. The ability of the stand-by operator to remove or recover a person quickly is necessary and the advantages of mechanical equipment enable one person to do this with relative ease. 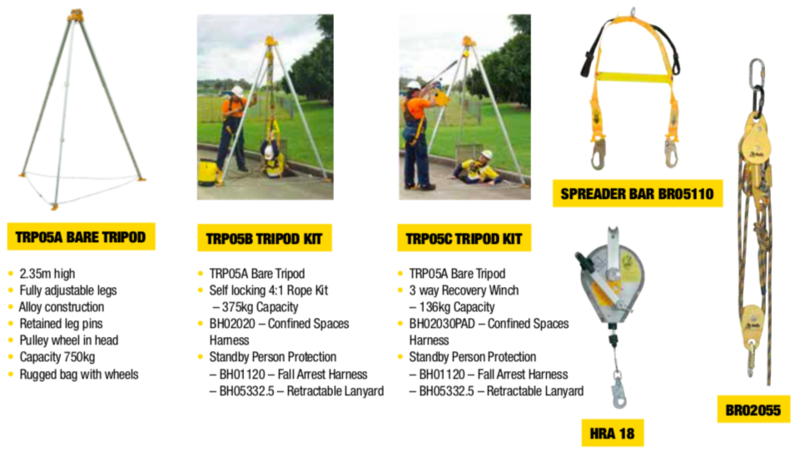 The B-Safe range of confined spaces equipment provides stability, ease of operation and speed together making the workplace a safe area to work in.Confined Spaces are regarded as hazardous areas and special precautions are required when entering these areas. Methods by which to access the confined space may be difficult and the hazards encountered can change the situation very quickly. ​The ability of the stand-by operator to remove or recover a person quickly is necessary and the advantages of mechanical equipment enable one person to do this with relative ease. The B-Safe range of confined spaces equipment provides stability, ease of operation and speed together making the workplace a safe area to work in.